The Crown Rose tells the story of Isabelle of France, born heir to the throne: her life from childhood to her later years; a life of turmoil and strife and longing.... The year is 1240. It is the reign of King Louis IX. Knighthood is still honored, though the traditions are beginning to fade. This will be the last generation of knights as we understand them. It is a time of intense chivalry and faith; religious orders such as the Templars, the Franciscans, Dominicans, and the Knights of Malta are springing up everywhere. And it is a time of conflict between nations struggling and warring to form their own identities and their own destinies. The Crown Rose portrays the mystery of one man who enters Isabelle's life at several key moments, becoming her icon, her soul's other half, and her destiny... a man who may, in fact, be much more than an ordinary man. His bloodline goes back to the Holy Land, and he is far, far older than he appears. The Crown Rose weaves its tale around the actual events of the time, blending historical realism with a hint of the fantastic, drawing upon extensive research to make the story as accurate as possible. It is a tale of chivalry, knighthood, romance, and war; of lost secrets and hidden mysteries; of honor, duty and sacrifice; and the power of a few dedicated people to change the face of the world itself. Fiona Avery is an award-winning writer working in Los Angeles, California. Her previous television credits include work on Babylon 5, Crusade and Earth: Final Conflict. In 2001, her short story "Luring the Tiger Out of the Mountains" earned an honorable mention in The Year's Best Science Fiction, published by St. Martin's Press. Since 2000, Avery's writing has been placed among the best-selling comics with works such as the Eisner-winning Amazing Spiderman, Tomb Raider, Witchblade and X-Men. In 2004, Amazing Fantasy and its continuing series Arana won the Big Apple Award from the mayor of New York and its leading character was named "Woman of the Year!" by Latina Magazine. Wizard Magazine has listed Fiona Avery in its exclusive Top Ten Creators list. Her original comic book property, No Honor, was recently optioned by Platinum Studios and is in development as a feature film. 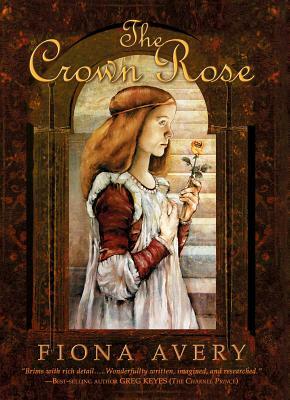 For more on Fiona Avery visit www.fionaavery.com and www.thecrownrose.com.